Korean Pear Blueberry, Arnold Palmer, Strawberry Lemonade, Korean Pear Blueberry. 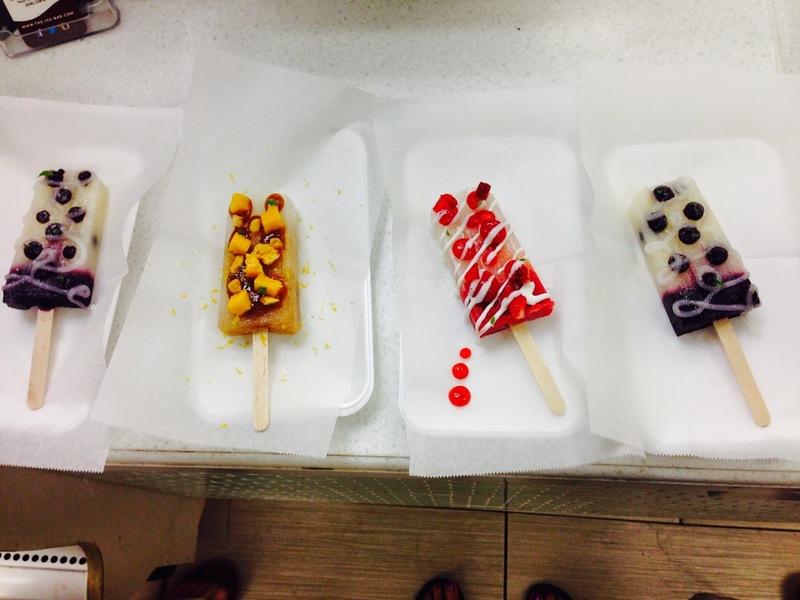 All the ice pops are decorated by hand with toppings ranging from fresh fruit, flavored gels, nuts and even herbs. 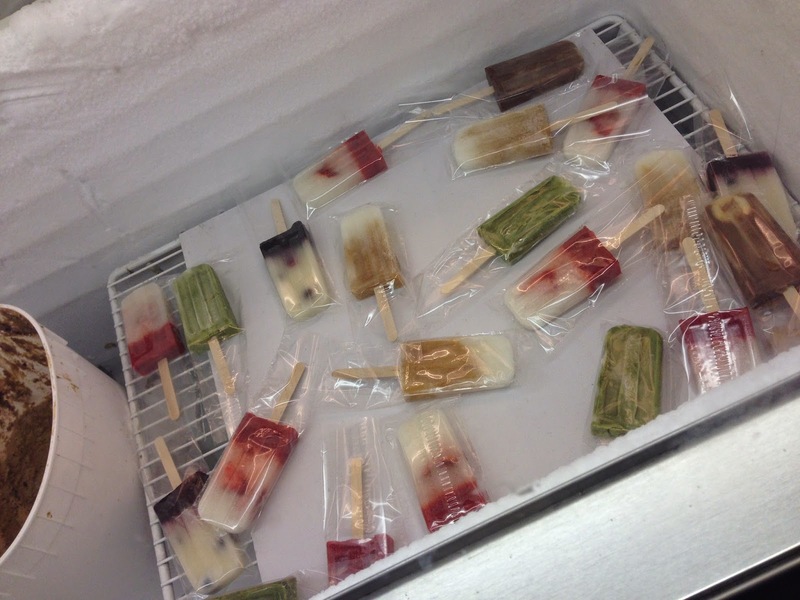 Yes indeed, herbs like mint and basil are used as garnishes on the ice pops! The Mango Strawberry must be the most popular because I wanted to pick that one but they ran out. I resorted to the Korean Pear Blueberry which had the same taste and texture of an actual pear. The popsicle itself was filled with blueberries and the bottom half of the popsicle was blueberry flavored as well. Halfway into devouring my ice pop, I remembered my dislike for pears so I kind of stopped eating it at that point. On to other flavors for me! The Strawberry Lemonade was refreshing with a good balance of tangy and sweet. The house special offers pop rocks as a topping which is awesome because I love pop rocks and never would have thought to add it on popsicles. Lastly, the Arnold Palmer is new on the menu! For you tea+lemonade lovers out there, this is the pop for you! 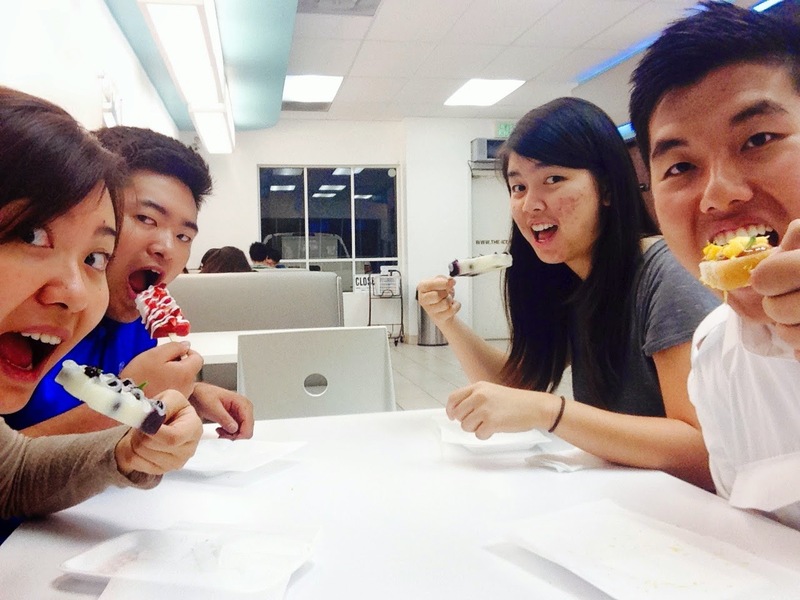 The Ice Bar also serves ice cream, soda floats, and boba drinks. After having all those pops, I wanted to move on to try the ice cream, too. That minty colored dessert pictured on the right is actually Pistachio ice cream. Let me tell you I was quite surprised with the quality of ice cream. 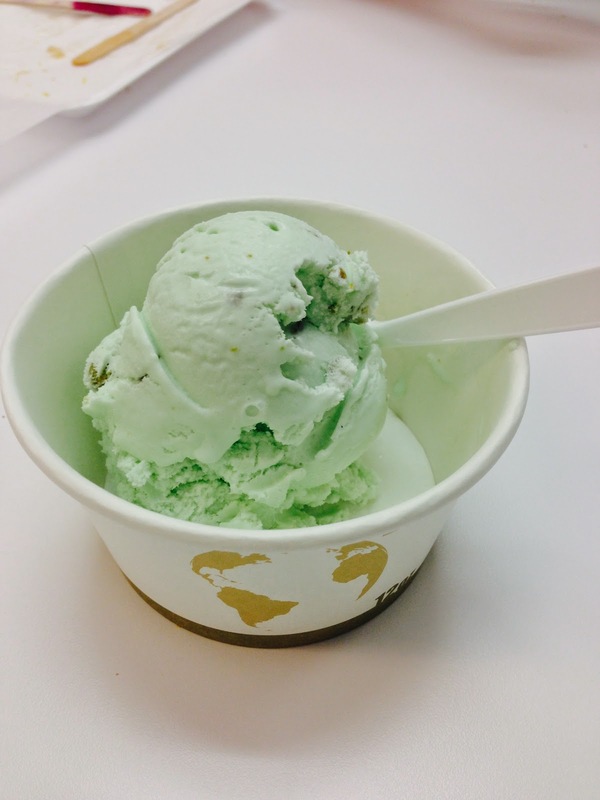 I enjoyed the Pistachio pieces in every other bite, while the sweetness of the ice cream was leveled out just enough. The ice pops are definitely sweeter than the ice cream, but I guess that's how it supposed to be. This Sunday is The Ice Bar's 1st year anniversary. Two new flavors are being released, Vietnamese Coffee and Peaches and Cream. The first 50 people who come in will be gifted with the new coffee pops! So if you need Sunday Funday this weekend, you know where to go! If you visit Ice Bar make sure to tag @FooodisGoood on Instagram!